Apart from presenting engaging science lessons to children of all ages, Holly has presented fun science segments on national television and has even taught science using jumping castles and sumo suits at a State teaching conference! As a lead educator with Fizzics Education, Holly brings creative flair and talent to the design of science education events and lessons for learners of all ages. Through Fizzics she’s designed and delivered science lessons for major institutions such as the Australian Museum, Powerhouse Museum, Hoyts Cinemas, the University of Western Sydney, NRMA, Sydney Olympic Park Authority and many more cultural organisations plus she’s presented science internationally via video conferencing and at SciFest Africa. She delivers teacher professional development sessions across the country and is a member of the Global Digital Literacy Council. 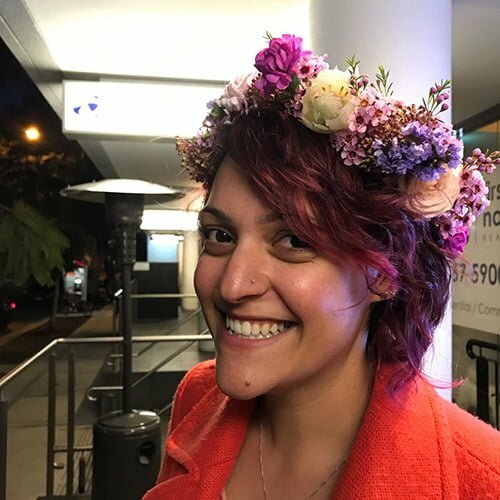 In 2016 Holly won the Young Business Executive section of the Western Sydney Awards for Business Excellence and is the co-curator of TEDx Parramatta.
" Fact or Fiction by ANSTO "
" Cooking a science challenge? " " Chemical free? How? " " Image: Time Warner "
" Last hurrah for Space Shuttle "
" How close we came... "
" Making a simple volcano "
" Energy production chit chat "